When someone at All-Clad tells you that something new and revolutionary is coming, you tend to perk up and listen. I definitely perked. And when someone at All-Clad asks if you would pretty-please mind trying out this new and revolutionary thingy and giving them some feedback on what you think about it, who am I to say no? 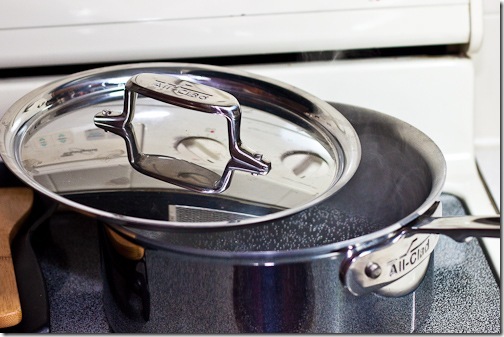 This would be how the shiny new All Clad 3 quart saucepan with d5 technology found itself a new home on the shelf next to my cast iron skillet.